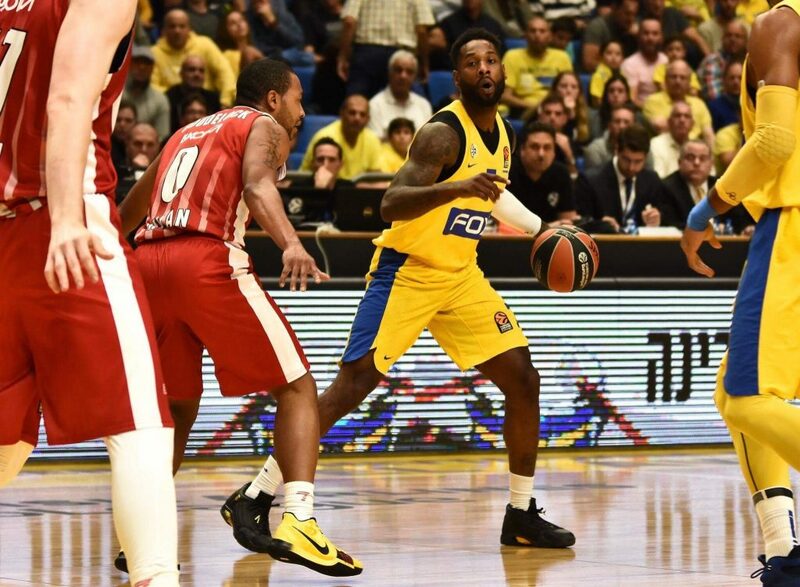 Maccabi Tel Aviv defeated Milan 79-68 as the Yellow & Blue dominated every facet of their Euroleague matchup at Yad Eliyahu. Six players featured in double digits with Alex Tyus picking up a double-double with 12 points and 15 rebounds as 8 came on the offensive end of the court. Deshaun Thomas dropped 14 points and grabbed 8 boards while Deandre Kane added 12 in the win. Norris Cole put home 10 points and dished out 8 assists as Art Parakhouski and Pierre Jackson each had 10 points in the victory. 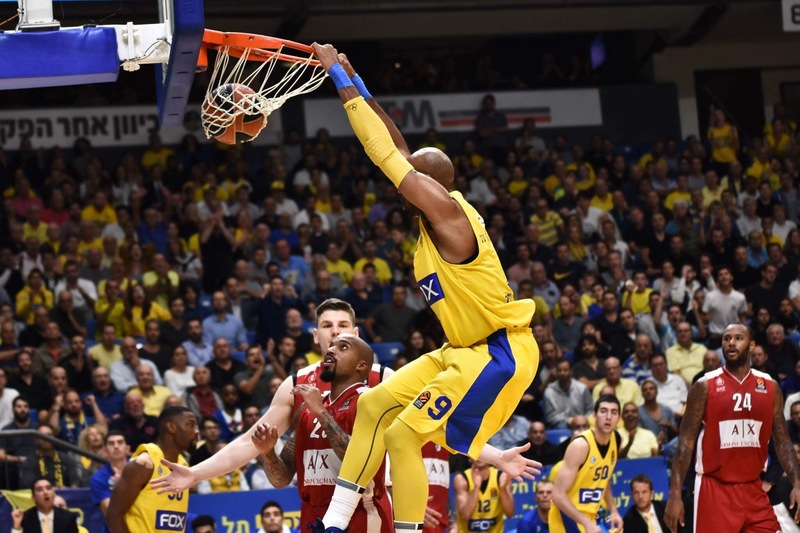 2) Rebounds have been on Spahija’s radar screen so far this season and against Milan, the Yellow & Blue crashed and crashed and crashed the boards leading to a 49-30 advantage which included 19 (!) of the offensive variety. Tyus led the way with 15 boards as more than half, 8 to be exact, coming on the offensive end giving the hosts plenty of second chances; those are quite good numbers any way you slice it. When was the last time a Maccabi player showed that type of production on the glass. Add to that 12 points from the veteran center and you have an MVP performance. Number 9 spoke about the importance of second chances, “We scored a lot off of our second chances, offensive rebounds. Every time you get a second chance it puts a lot of pressure on the defense as they have to defend for another 14 seconds.” It was very clear that Milan coach Simone Pianigiani wasn’t thrilled with his interior defense to say the least. 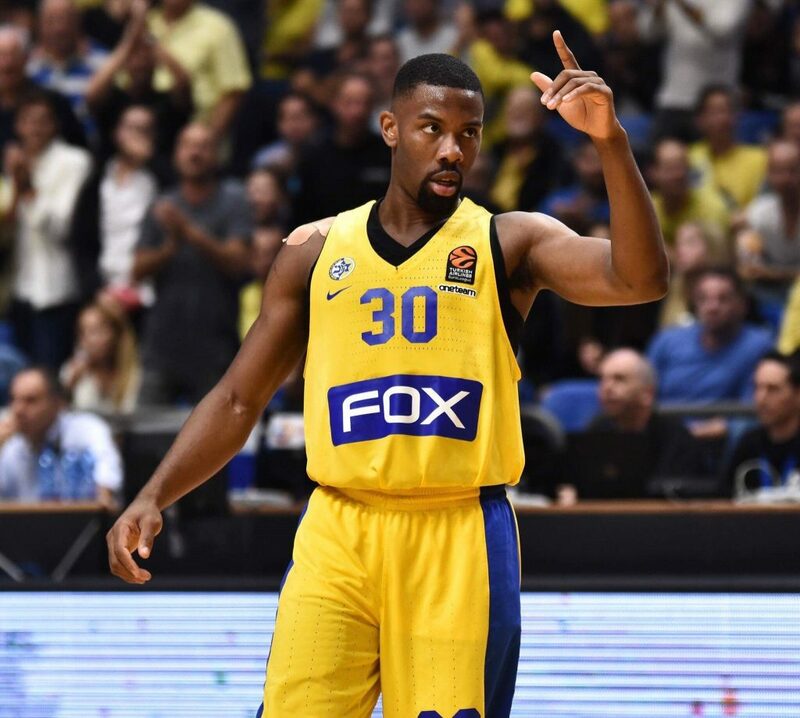 3) Deandre Kane ended the night with 12 points, 4 rebounds and 3 assists in 23 minutes as well as a stellar night on the defensive side Coach Spahija who was very happy with his performance, “One of the players I am happy about is Deandre Kane, who is playing in the EuroLeague the first time. His effort on defense and offense was very impressive.” Both Kane and his head coach also discussed the importance of patience and time when putting together a team. “We’re 12 guys just coming together and learning each other,”explained Kane. “I think in a few more weeks we will be even better. We love playing with each other and chemistry is building. 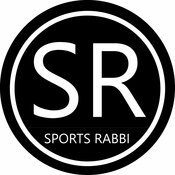 It’s a great group of guys to be around.” Spahija added, “It’s not easy to put the pieces together in a short time and games will make us better.” True, how true as Maccabi continues to improve and now sits with a 3-2 record. Maccabi Haifa Defeats Listless Beitar Jerusalem 2-0, Maccabi Petach Tikva Surprises Maccabi Tel Aviv In 2-2 Draw!